If you're looking for a great way to secure your Spring Boot and Java EE applications, read on to learn how to use Keycloak, an open-source server. Although security is a crucial aspect of any application, its implementation can be difficult. Worse, it is often neglected, poorly implemented and intrusive in the code. But lately, security servers have appeared which allow for outsourcing and delegating all the authentication and authorization aspects. Of these servers, one of the most promising is Keycloak, open-source, flexible, and agnostic of any technology, it is easily deployable/adaptable in its own infrastructure. 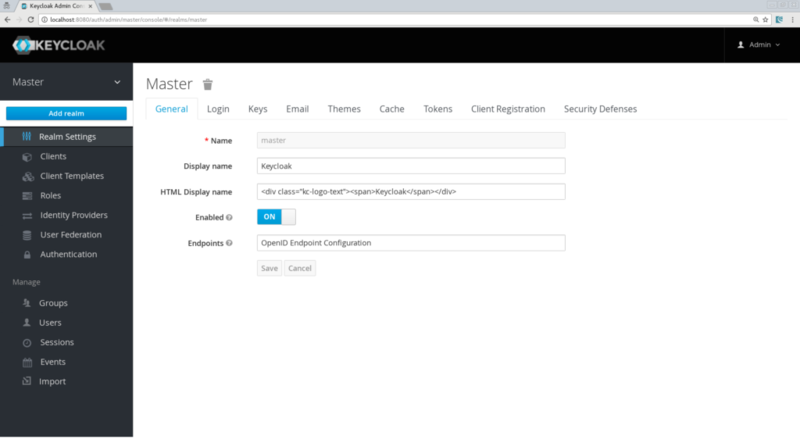 Moreover, Keycloak is more than just an authentication server, it also provides a complete Identity Management system, user federation for third parties like LDAP and a lot more. Check it out here. The project can also be found on GitHub. Then open a browser and go to http://localhost:8080/auth. 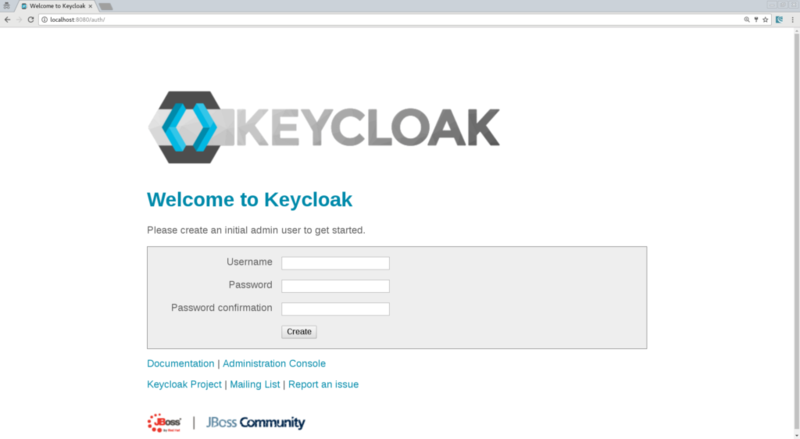 Now you can log in to your administration console and start configuring Keycloak. Keycloak defines the concept of a realm in which you will define your clients, which in Keycloak terminology means an application that will be secured by Keycloak. It can be a Web App, a Java EE backend, a Spring Boot, etc. And finally, we need to set his credentials, so go to the Credentials tab of your user and choose a password. I will be using “password” for the rest of this article, and make sure to turn off the “Temporary” flag unless you want the user to have to change his password the first time he authenticates. 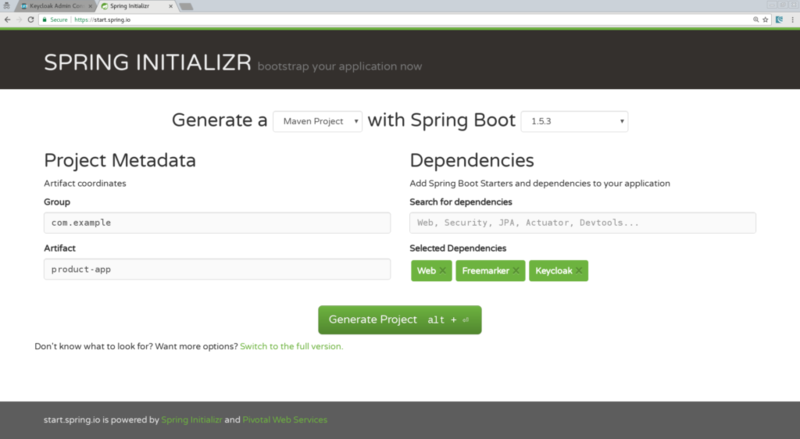 We are done for now with the Keycloak server configuration and we can start building our Spring Boot App! Import the application in your favorite IDE, I will be using IntelliJ. 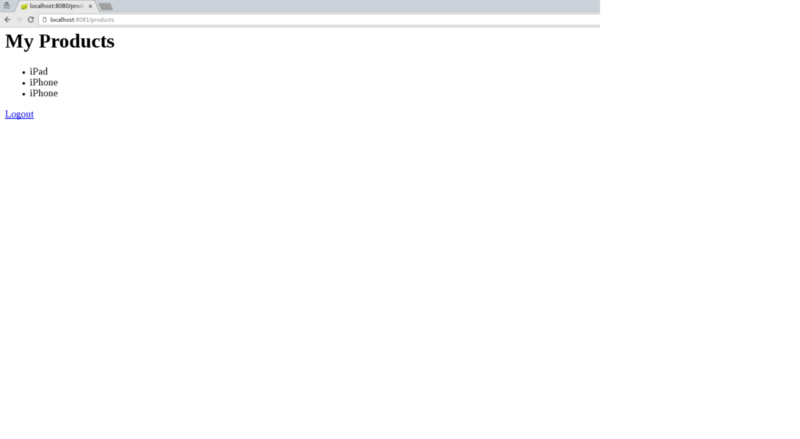 An index.html which will be the landing page containing just a link to the product page. Products.ftl which will be our product page template and will only be accessible by authenticated users. Here we simply iterate through the list of products that are in our Spring MVC Model object and we add a link to log out from our application. All that is the left to do is to add some keycloak properties in our application.properties. We are all set and we can run our app! Congratulations! You have secured your first Spring Boot app with Keycloak. 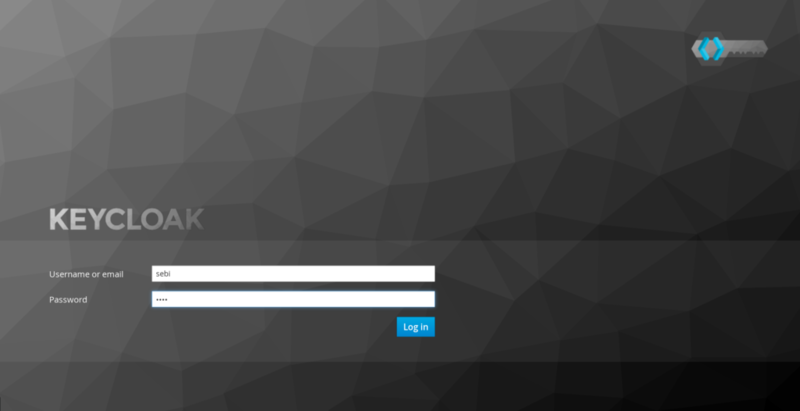 Now Log out and go back to the Keycloak administration console and discover how you can “tune” your login page. 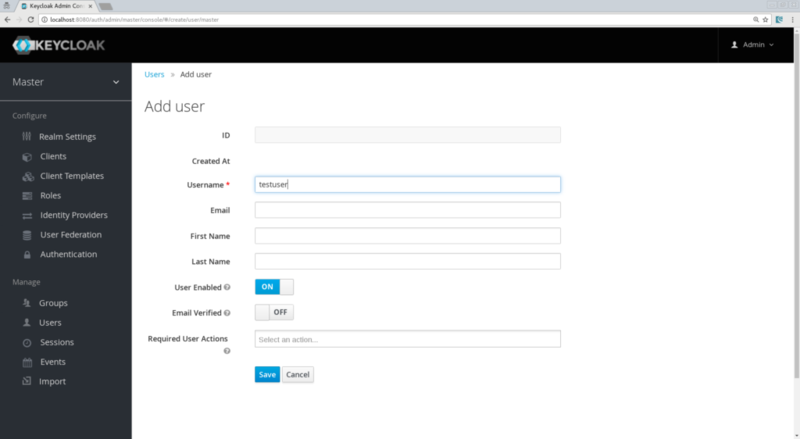 For instance, you can activate the “Remember Me” and the “User Registration” functions. To do this, hit the save button and go back to your login screen. There, you will see that these features have been added. If you’re a Spring user and have been playing around with security, there is a big chance that you have been using Spring Security. Well, I have some good news: we also have a Keycloak Spring Security Adapter and it’s already included in our Spring Boot Keycloak Starter. Let’s see how we can leverage Spring Security together with Keycloak. 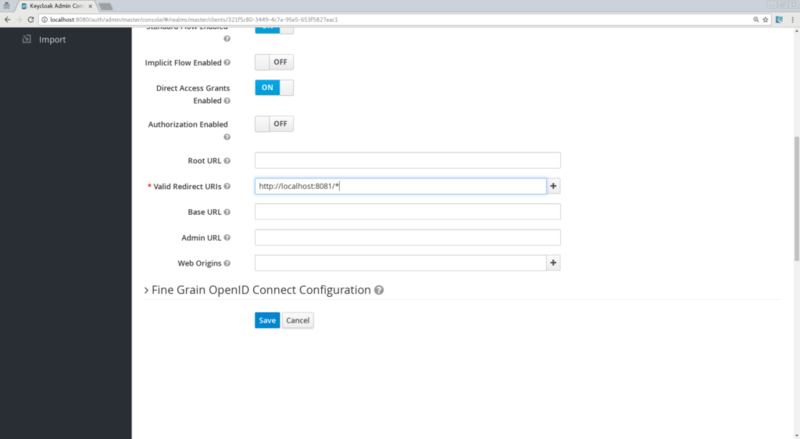 configureGlobal: Here we change the Granted Authority Mapper. 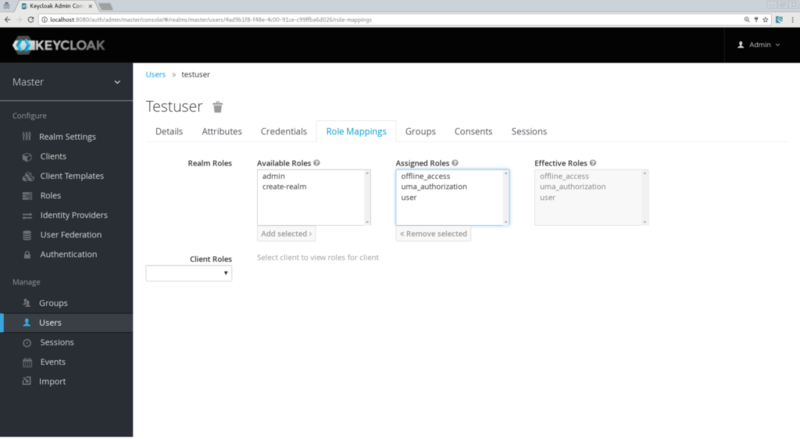 By default in Spring Security, roles are prefixed with ROLE_. We could change that in our Realm configuration but it could be confusing for other applications that do not know this convention, so here we assign a SimpleAuthorityMapper that will make sure no prefix is added. keycloakConfigResolver: By default, the Keycloak Spring Security Adapter will look for a file named keycloak.json that's present on your classpath. But here we want to leverage the Spring Boot properties file support. See how to secure a microservice. How microservices can securely “talk” to each other. How a Pure Web App built with AngularJS can be secured with Keycloak and call secured microservices. For a framework for building enterprise Java microservices visit WildFly Swarm and download the cheat sheet. Published at DZone with permission of Sébastien Blanc , DZone MVB. See the original article here.